The CAO Flavours Family Sampler features the finest flavor infused premium handmade cigars that money can buy. Unlike most flavored sticks, the CAO Family series uses only high-quality long-fillers and the best grade “A” wrappers to provide you with a decadent smoke that always pleases and never overpowers. 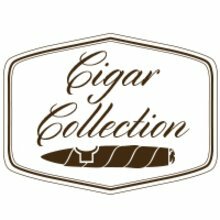 they’re very mellow, fragrant, incredibly delicious cigars that offer a nice change of pace from your standard non-aromatic blends. Had smoked some of the Cao flavors line after buying boxes for my wife and wanted to try some other flavors. I wanted to see if there were other flavors I wanted to buy for her. Of the samples I tried, the tobacco flavor was a little stronger in the sampler but the infused flavors were much weaker. Will probably buy more Cao flavors in the future but they will by the box. This sampler was a great buy. While I am not by any means a cigar connoisseur, I enjoyed these a great deal. They last about 45min to an hour each. The flavor was great, which was the reason I bought them to begin with. I found the vanilla and the cherry to be the best of the bunch. I will gladly purchase these again. These small cigars are 4 x 40. Very disappointed in Jr's for stating various size. It's deceiving... I haven't smoked them and am sending them back.